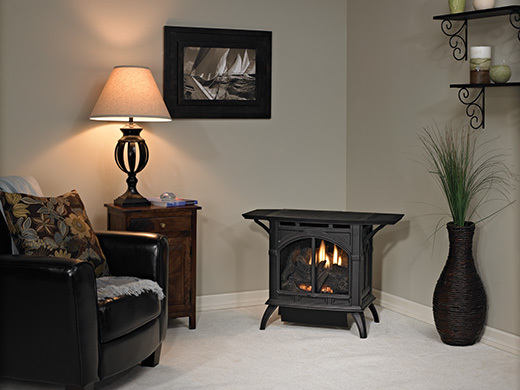 Empire Cast Iron Stoves are available in two types of ignition – Millivolt (MV) and Intermittent Pilot (IP). The Millivolt system lights a standing pilot with a pushbutton piezo ignitor. 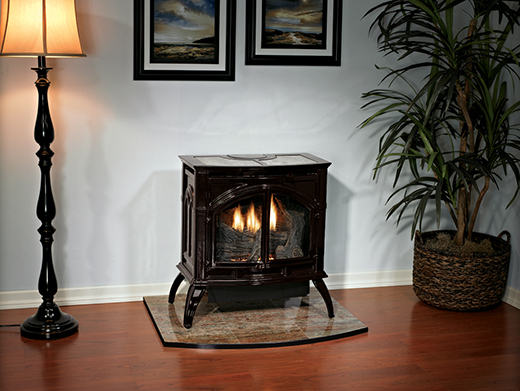 Once the standing pilot is lit, the MV system operates with an on/off switch concealed on the back of the stove or with one of Empire’s optional remote control systems. Choose from three sizes and up to five colors – in rich porcelain plus matte pewter and matte black. A special 10,000-Btu model is ideal for bedroom applications – where allowed by code.